What the commentators didn’t note is that Kelly’s comments about the Civil War strongly resemble Trump’s comments about Israel and the Palestinians. When Trump discusses the Israeli-Palestinian conflict, he usually employs the language of the deal. Kelly doesn’t talk like a real estate mogul. But his perspective is similar. Compromise is good. Deals are good. Moral issues are secondary. Just as Kelly never mentioned slavery in discussing the conflict between North and South, Trump never mentions human rights in discussing the conflict between Israelis and Palestinians. I’ve scoured Trump’s public statements on the subject. There’s no evidence he even knows that West Bank Palestinians live under Israeli control but lack Israeli citizenship, that they can’t vote for the government that dominates their lives, and that they lack the freedom of movement and due process that their Jewish neighbors enjoy. He discusses an Israeli-Palestinian peace deal the way he discusses the sale of a building. The problem with this view isn’t merely that the two “parties” don’t “like” the same solution. It’s that even if you could find a Palestinian and Israeli “party” willing to sign a deal, the deal wouldn’t succeed — and wouldn’t deserve to succeed — unless it addressed the basic injustice of denying millions of Palestinians human rights. Consider the last great Israeli-Palestinian deal: the 1993 Oslo Accords. Israeli and Palestinian leaders both had reasons to sign. For Yitzhak Rabin, it was the realization — borne of the first intifada — that directly occupying the West Bank carried a cost Israel could not bear. For Yasser Arafat, it was the realization that unless he returned to the West Bank and Gaza, the new, local Palestinian leadership borne of that intifada might supplant him. Arafat’s support for Saddam Hussein in the Gulf War had also alienated many of his Arab supporters. Oslo put Arafat back in the game. He left his Tunisian exile and returned to the Palestinian territories as Israel’s negotiating partner. But although Israel recognized the PLO as the legitimate representative of the Palestinian people, Oslo never required it to acknowledge Palestinian rights. And it allowed Israel to continue building the settlements that undermined those rights, and made Palestinian statehood harder and harder to achieve. I’m not claiming Israel bears the sole responsibility for Oslo’s collapse. Arafat’s corruption and Hamas’s terrorism played major roles, too. But Oslo’s failure to enshrine Palestinian rights— to acknowledge that Palestinians, like Israelis, deserve to be citizens of a country — was among its fundamental weaknesses. That failure — and the settlement building that followed — created a Palestinian disillusionment that made Hamas’s work far easier. “Neither Rabin nor Arafat can stop Hamas,” former Palestinian negotiator Haidar Abdel Shafi warned. “Only the people can. But they must have something precious to defend.” Oslo didn’t provide it. Obviously, politics is never the realm of perfect morality. Power imbalances always intrude. Not all wrongs can be righted. But when the subject is human rights and human dignity — not the price of a hotel — deals don’t endure unless they bring some measure of justice. That’s what John Kelly doesn’t understand about the Civil War. And it’s what his boss doesn’t understand about the Israeli-Palestinian conflict. 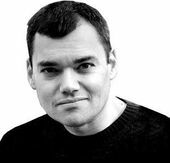 Peter Beinart is a Forward contributing editor and senior columnist at the Forward. This story "John Kelly erased slavery — just like Trump ignores the Palestinians" was written by Peter Beinart.